Industry experts, reporters and bloggers share their insights and predictions on how email marketing will change in the coming year from a poll conducted by MailerMailer. Emails are going to aim for higher levels of engagement. A poll conducted by MailerMailer, asked nine reporters, business bloggers and industry experts where they thought email marketing was headed in 2012 and what email marketers can expect to see in the coming year. 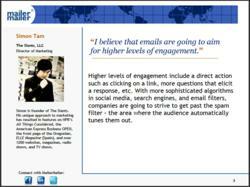 From challenges that marketers may face to evolving trends that will help increase customer engagement, these experts offer many valuable insights in Email Marketing: What's in Store for 2012? "Email will become more relevant"
"People should create shorter, more focused mailings." "Rising popularity of mobile and smartphones will continue, so more emails will be optimized for mobile viewing"
"Businesses will bring their email engagement 'in-house' and not outsource it." Download Email Marketing: What's in Store for 2012? for more industry predictions. Several trends and technologies spent 2011 competing for the attention of small businesses and consumers everywhere. From mobile marketing and iPad adoption to location-based marketing and QR codes, businesses had to keep up with the quickly-evolving trends or fall far behind their competitors. In 2012, "more companies will leverage educational content in their email marketing efforts," says Raj Khera, CEO of MailerMailer. "This will increase reader retention and promote the company as a thought leader. The end result will be more loyal and responsive customers." 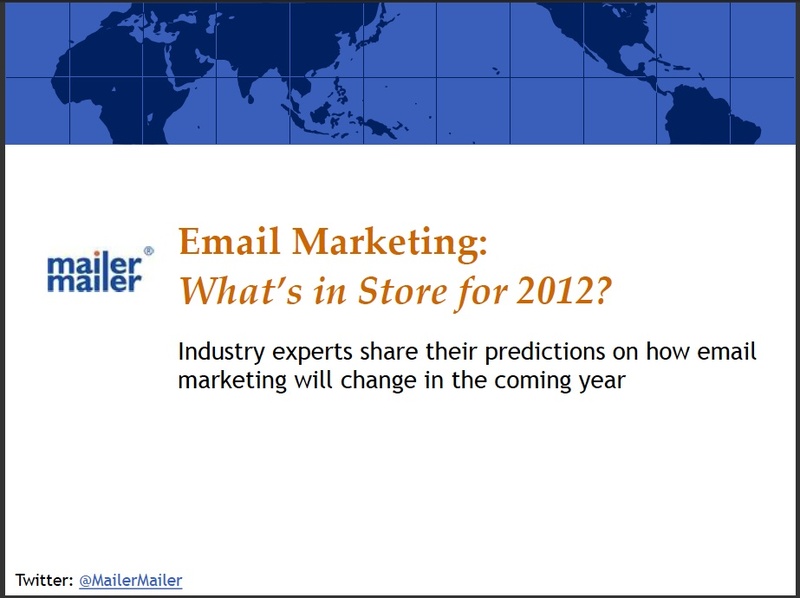 Download your copy of Email Marketing: What's in Store for 2012? MailerMailer is an award-winning, easy-to-use email marketing service that combines an elegant user interface with powerful message creation features and sending capabilities to make non-technical people look like email marketing geniuses. A free trial of this email newsletter service is available at http://www.mailermailer.com. MailerMailer is part of a series of sites run by Khera Communications, which includes discussion group management tool DiscussThis, small business resource site MoreBusiness.com in addition to personal and business goal setting site Top3Goals.com.